Jan Brzeski was joined by Howard Coleman, CIO at Coldstream Capital Management, Betty Tse, CIO at Alameda County Employee' Retirement Association, and Margaret McKnight, Managing Director and Co-CIO at Metropolitan. The panel discussion was moderated by David Sancewich, Managing Director at Pension Consulting Alliance. 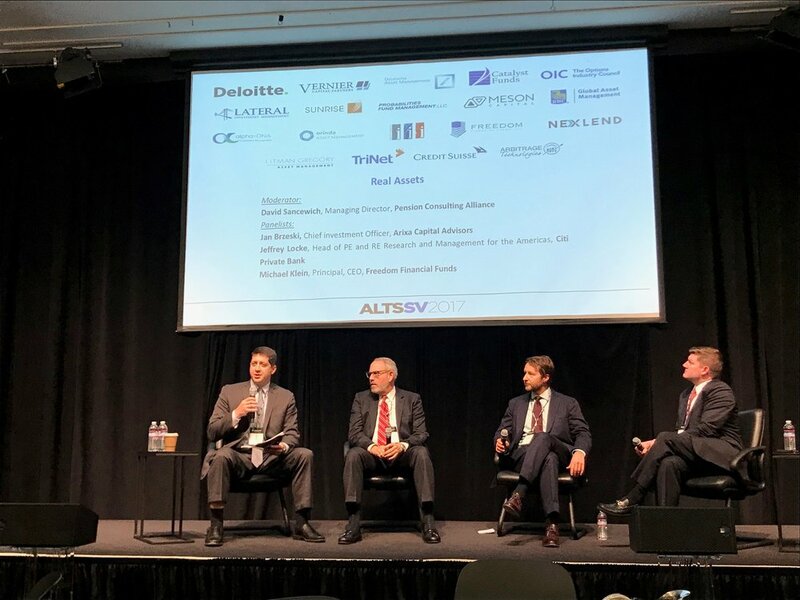 ALTSSV was developed as a local, investor centric and educationally focused one day forum on behalf of The CFA Society, CAIA Association, CalALTs and Markets Group. The purpose of the meeting is to facilitate the dissemination of actionable investor content coupled with supporting the continued development of the alternative investment industry in the Bay Area. The ALTSV program’s agenda has been specifically designed to provide relevant and topical educational content for people who manage, advise, allocate to, or oversee, alternative assets. 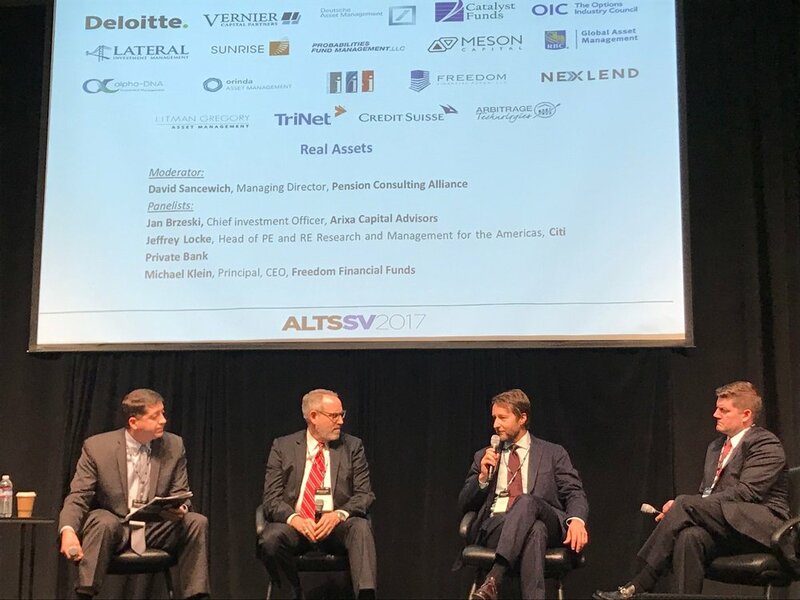 Throughout this streamlined one day forum, ALTSSV will offer exclusive access to the leading minds from throughout the alternative investment industry who will in turn provide the latest information and insight on the future of venture capital, private equity, private debt, hedge fund and real asset investing. To learn more about the forum and ALTSSV, click here.